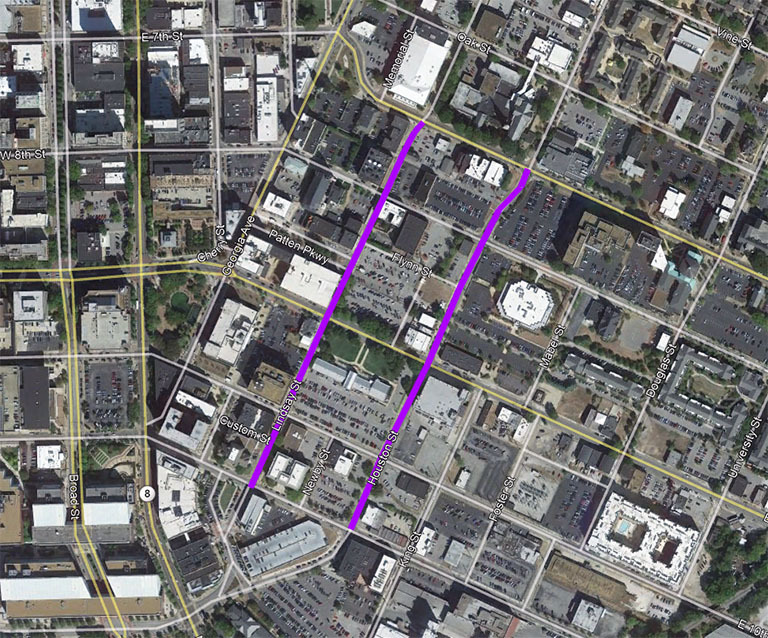 In response to recommendations of downtown planning work, most recently in the Chattanooga Forward Downtown Task Force and the City Center Plan and as far back as early 2000s, in 2017-2018 the Chattanooga Department of Transportation studied the possibility of converting the downtown one-way streets back to two-way streets. Changes to the streets will begin in April 2019, and they are expected to be completed by mid-May 2019. 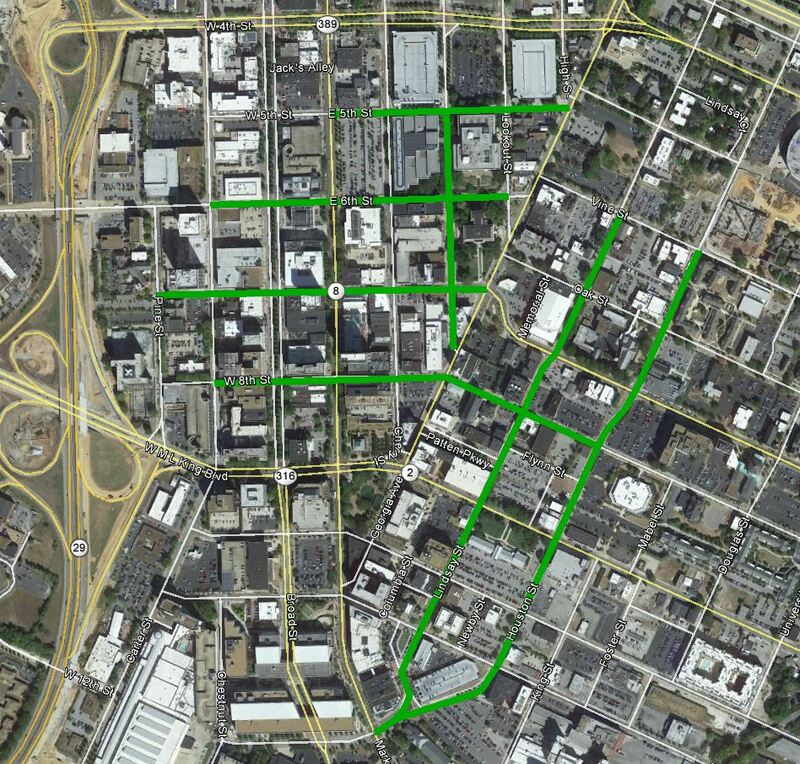 5th St., 6th St., 7th St., 8th St., Walnut St., Lindsay St., and Houston St.